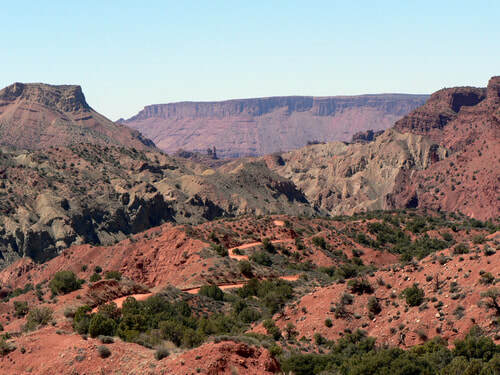 This run takes you on a scenic loop in the area east of Moab. Onion Creek, Fisher Valley then up into the National Forest to La Sal Mountain Loop. 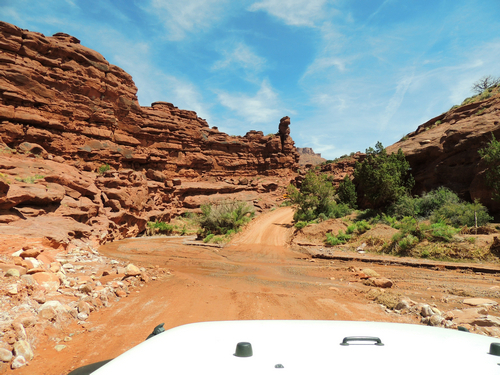 Onion Creek is a very scenic ride that pretty much any high clearance vehicle can handle. At the start of the trail there are a bunch of creek crossings - count them if you can. If it has recently rained, be careful because the crossings can get high. The trail often washes out and flash flooding is possible. 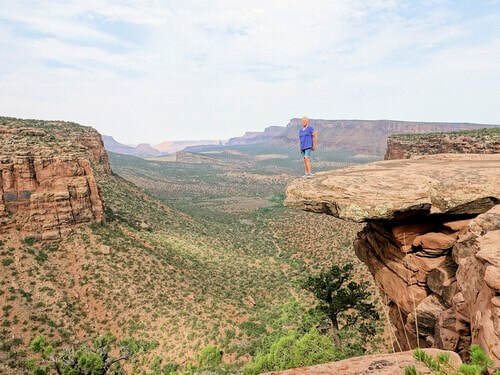 This is a majestic canyon and is one of our favorite trails. 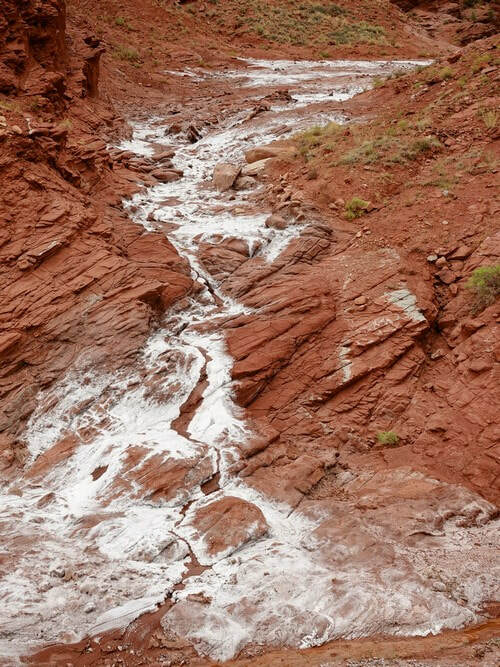 Minerals have leached out of the soil throughout the canyon. Very striking. 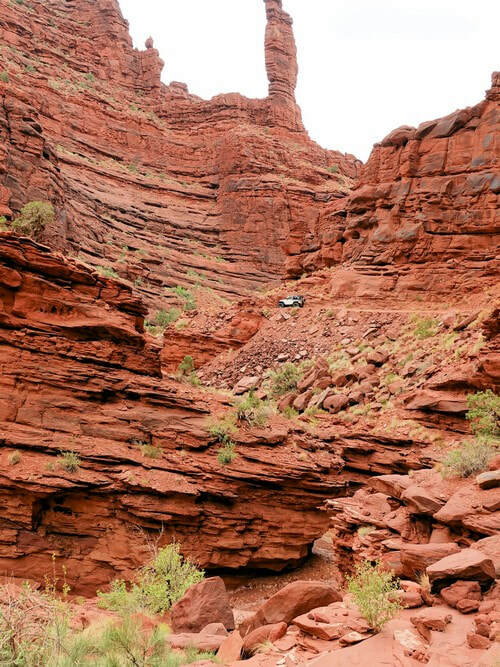 Canyon walls high above the road and deep dropoffs below the road. 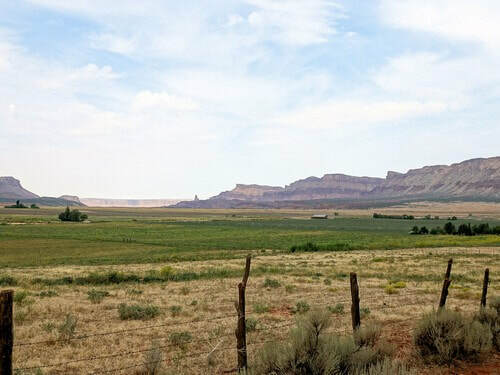 Climb out of the canyon at the upper end of Onion Creek and look over Fisher Valley. After Fisher Valley the loop takes you above 8,000' and briefly into the National Forest. 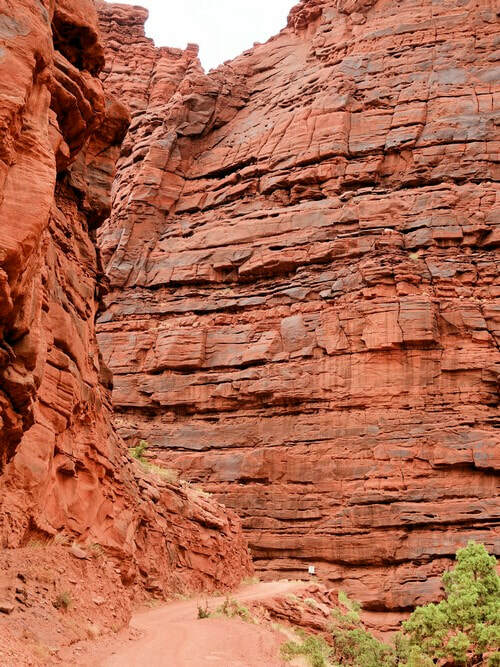 This is not a difficult section, but it is a bit rocky and lower air pressure will help your ride. 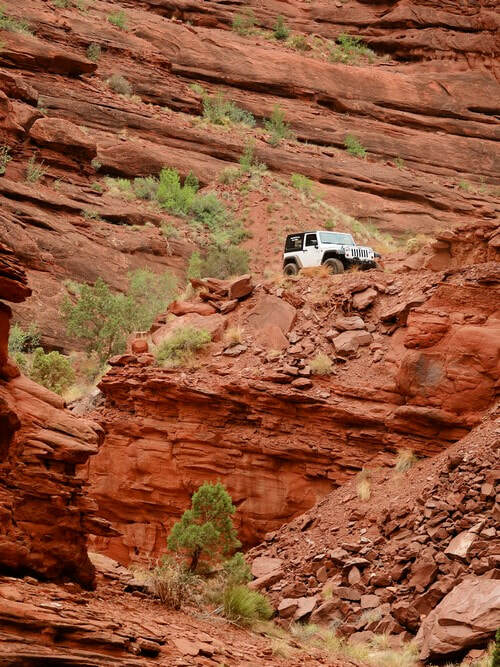 Completely different than the slickrock areas closer to Moab. 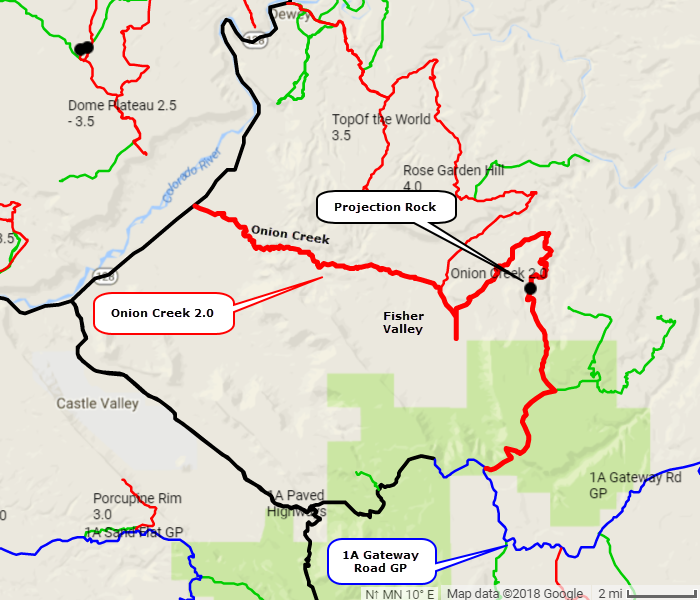 The GPX file has a waypoint for what we like to call "Projection Rock". This is a great place to get a photo to show your friends. This track ends on the Access Road "1A Gateway Road GP". 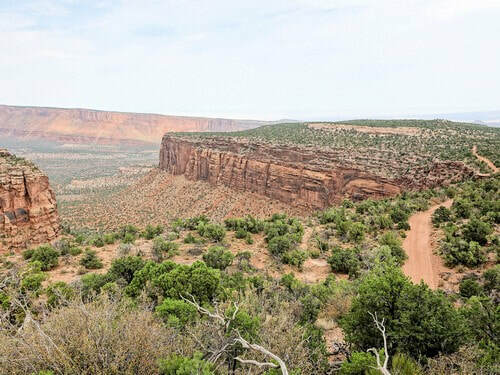 Turn right then take the La Sal Loop Road back to Moab.